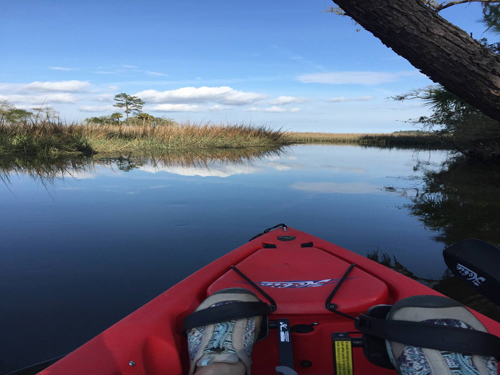 Thanks to Daniel Island resident Andrea Kelly for sending in this truly beautiful photo taken during a recent kayak trip on a tidal waterway off Ralston Creek, behind King George Street. The Kelly family recently moved from the island’s south side to a new home in Daniel Island Park. This journey marked Andrea’s “maiden voyage” in exploring her new surroundings. Along the way, in addition to this picturesque scene, she spotted an otter, five dolphins, an osprey and many shore birds.